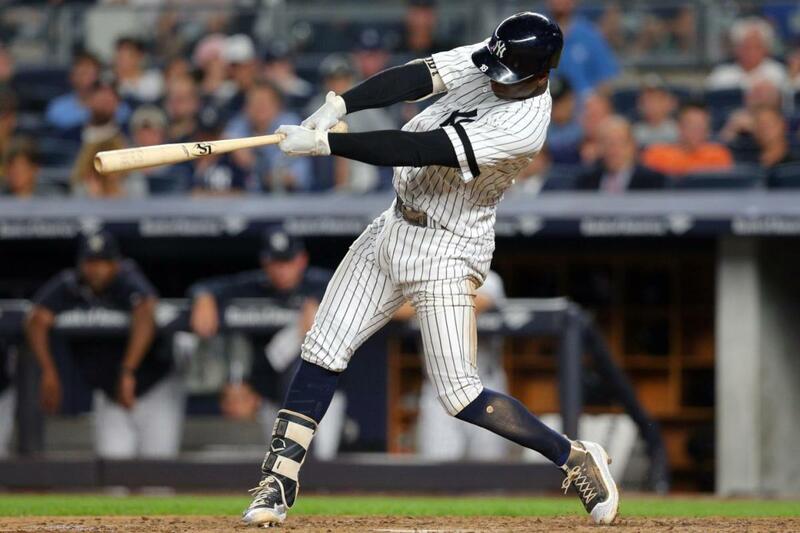 Didi Gregorius was the man on the field and with the bat on Friday night as the Yankees took down the Baltimore Orioles for the second consecutive day. His brilliant defensive play and 4 RBI's helped Joe Girardi achieve his 900th career victory as Yankees manager. 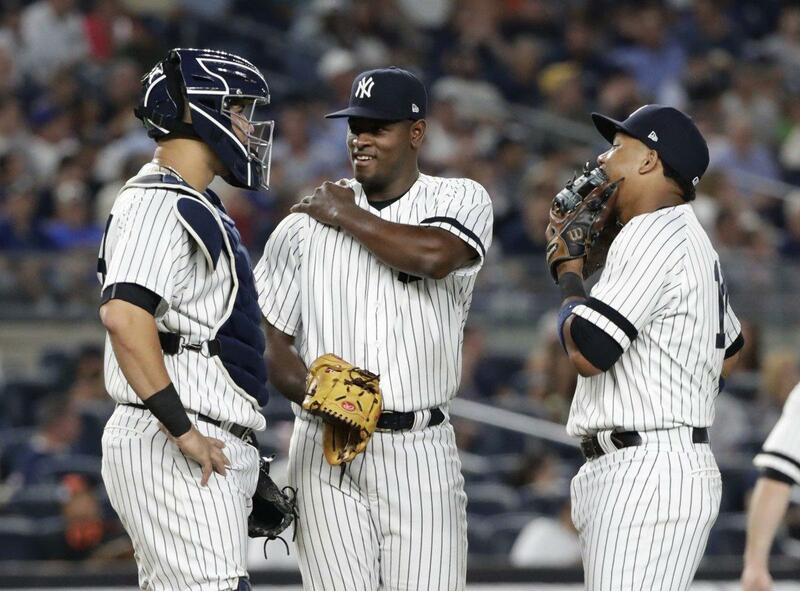 Of course, it didn't hurt having the great Luis Severino on the mound. The Yankees scored first with a run in the bottom of the 1st inning. Brett Gardner led off with a double to center. Gary Sanchez lined a one-out single to left, moving Gardy to third. A sacrifice fly to right by Didi Gregorius scored the speedy Gardner and the Yankees had the early 1-0 lead. The Orioles got to Luis Severino in the top of the 2nd for really the only weakness in Sevy's start. Chris Davis took a two-out walk, and Wellington Castillo followed with a shot to the right field porch to put the O's in front, 2-1. Chase Headley, starting at third base when Todd Frazier was scratched due to back stiffness, reached base to start the bottom of the 2nd with a bunt toward third. 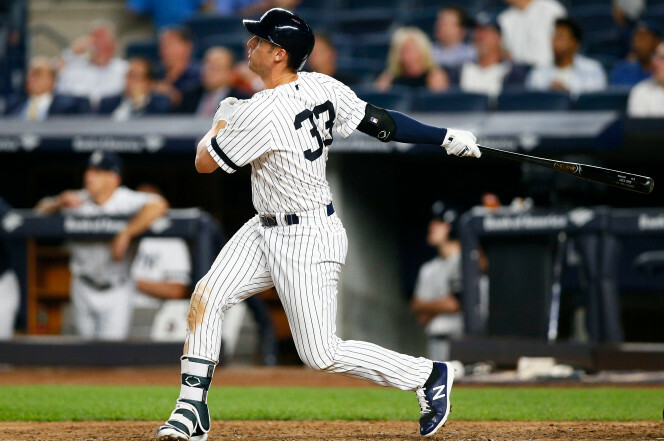 After Jacoby Ellsbury flied out to center, Matt Holliday lined a single to left, moving Headley to second. Greg Bird hit a grounder to first that was mishandled by Chris Davis (ball went through his legs into right field), allowing Bird to reach base. Headley scored and Holliday advanced to third. The game was tied at 2. The Yankees were unable to bring Holliday home when O's starter Gabriel Ynoa struck out both Brett Gardner and Aaron Judge to get out of the inning. In the bottom of the 5th, Aaron Judge walked with one out. Buck Showalter went to the pen, replacing Ynoa with reliever Miguel Castro. With Gary Sanchez at bat, Judge stole second with a headfirst slide. 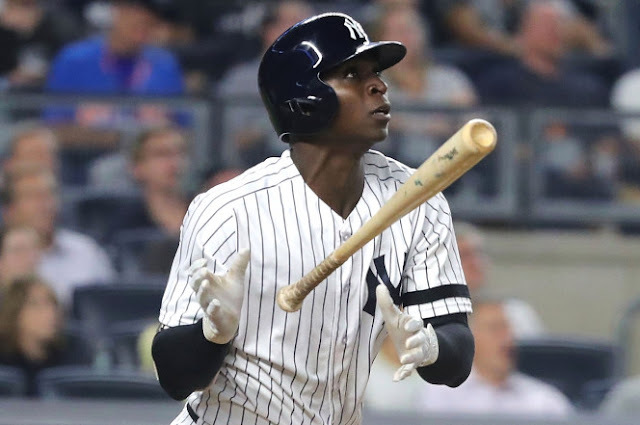 El Gary subsequently grounded out with a short bouncer at the plate, but Didi Gregorius didn't miss the opportunity with a home run to right center to give the Yankees a 4-2 lead. Greg Bird led off the bottom of the 7th inning with a walk. Brett Gardner hit a grounder between first and second but the O's were unable to force Bird or get a double play when second baseman Jonathan Schoop misplayed the ball (bounced off his glove). The runners were safe at first and second. Showalter pulled Castro and brought in Mychal Givens. Givens walked Judge to load the bases. Gary Sanchez hit a single to right, a fly ball that dropped in front of Mark Trumbo. Bird scored. Not that I am complaining but I thought it was a lazy defensive effort by Trumbo. Oh well, the Yankees had increased their lead to 5-2. Showalter went to the pen again, this time bringing in former Yankees reliever Richard Bleier. 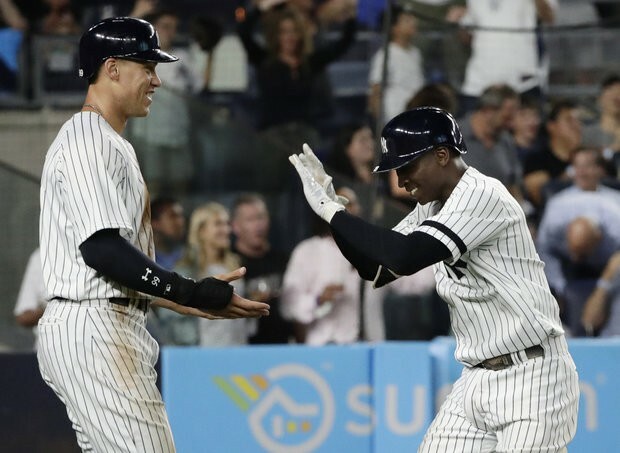 Didi Gregorius hit his second sacrifice fly of the game, a fly to center, scoring Gardner who slid into home just under the great outfield throw. After Starlin Castro lined out to short, Chase Headley singled to right, scoring Judge. The throw in from the outfield easily tagged Sanchez out at third for the final out, but the Yankees had increased their lead to 7-2. Luis Severino was cruising. He pitched as strongly in the 8th inning as he had earlier in the game, and he finished his day with three up, three down. Greg Bird added a run in the bottom of the 8th when he hit his 4th home run of the year, a solo shot to right into the second deck off Bleier. It was good to see Bird get good results even if the run was unnecessary at that point. Hopefully he's on the path to showing us the hitter he was in Spring Training. If he gets hot, the Yankees offense will be very hard to stop. David Robertson took over for Severino in the top of the 9th. He started off by walking Manny Machado. A wild pitch allowed Machado to move to second. D-Rob was able to retire Jonathan Schoop and Trey Mancini, but another wild pitch moved Machado to third. But there he would stay as Mark Trumbo flied out to left to end the game. The Yankees win! The Yankees (81-66) were unable to make up any ground on the Boston Red Sox and still trail by three games. It looked like the Yanks might move to within two games when the Tampa Bay Rays had a 5-2 lead in the top of the 9th with closer Alex Colome on the mound, but the Sox scored 3 runs to tie it and eventually won 13-6 in 15 innings. Although he was not the loser, it was a former Yankee on the mound (Chase Whitley) when Red Sox offense blew the flood gates open. The Yankees did increase their Wild Card lead over the Minnesota Twins to four games. The Twins lost a close 4-3 game to the Toronto Blue Jays. The Yanks have a six-game advantage over the third place WC team, the Los Angeles Angels. Luis Severino is clearly the guy I want on the mound if the Yankees must settle for the Wild Card. He pitched eight strong innings, allowing only three hits and the two runs on the 2nd inning homer. He walked one and struck out seven. As strong as he was pitching, he could have easily finished with a complete game. But at 95 pitches and a six-run lead, it was better to let D-Rob close it out. Sevy (13-6) lowered his season ERA to 2.93 with the performance. Nice job, Sevy! Didi Gregorius was clearly the hitting star with the home run and 4 RBI's, but Chase Headley was 3-for-4 with a RBI and a run scored. He did record an out on one of those hits when he tried, unsuccessfully, to stretch a single to a double. Gary Sanchez chipped in two hits and a RBI. Even though he didn't get a hit, Aaron Judge was still in the mix with two runs scored courtesy of the walks he took. Greg Bird, Brett Gardner and others...this was a great team win! Sadly, the Scranton/Wilkes-Barre RailRiders lost the Governor's Cup Finals to the Durham Bulls. The Rays' top farm team took the championship with a Game Four victory to win the series, three games to one. 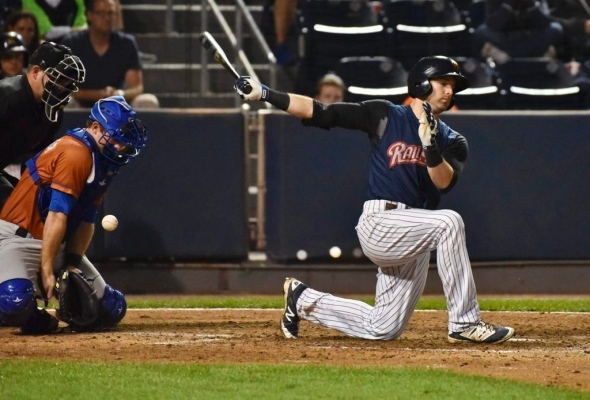 The RailRiders tried to claw back into the game but fell short, losing 6-4. Brady Lail was the starter and loser. Now that the RailRiders' season is over, I wonder if we'll see the addition of guys like Jake Cave and Miguel Andujar to the MLB roster. I really do not expect to see Chance Adams since the Yankees have no pressure to add him to the 40-man roster this year. Cave, on the other hand, must be protected or he'll most likely be lost in the Rule 5 Draft. Erik Kratz, I know you're batting 1.000 (2-for-2) but I think your taxi is here waiting for you. I hope you enjoyed the show. It was great season for the Yankees farm teams even if the top two clubs were unable to deliver championships. They are gaining the knowledge and experience that will help them deliver World Series championships for the big league team. The bigger picture. Have a great Saturday! Let's take the series with a win today. Go Yankees!